My in-laws sent me home with a bunch of ripe bananas after Thanksgiving, so I was busy today baking this healthy banana bread recipe. I came up with this clean eating version that I created from an old favorite recipe from my mom. It is really good for you and tastes delicious!! I tried out a new baking find, Sunsweet Lighter Bake, and the results were great! Moist, flavorful bread without any indication that butter was missing. 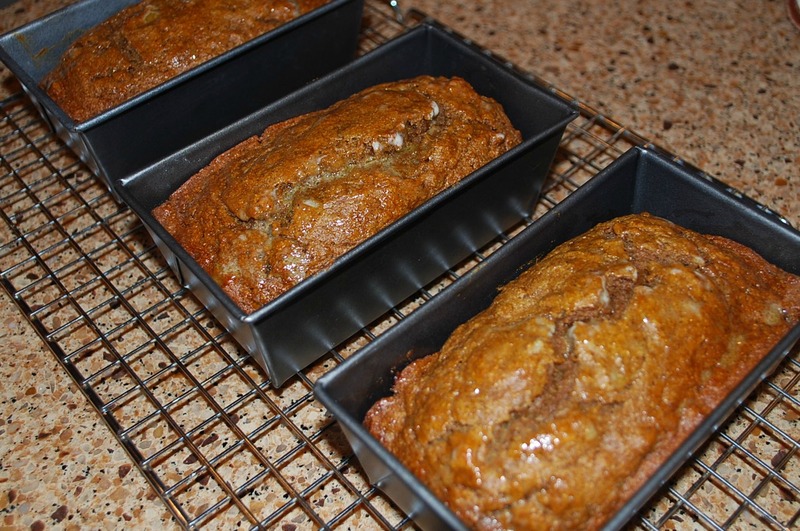 I want to stress the importance of using over- ripe bananas for this recipe. It makes all the difference in the sweetness and moisture. Mash bananas and mix with lighter bake or oil. 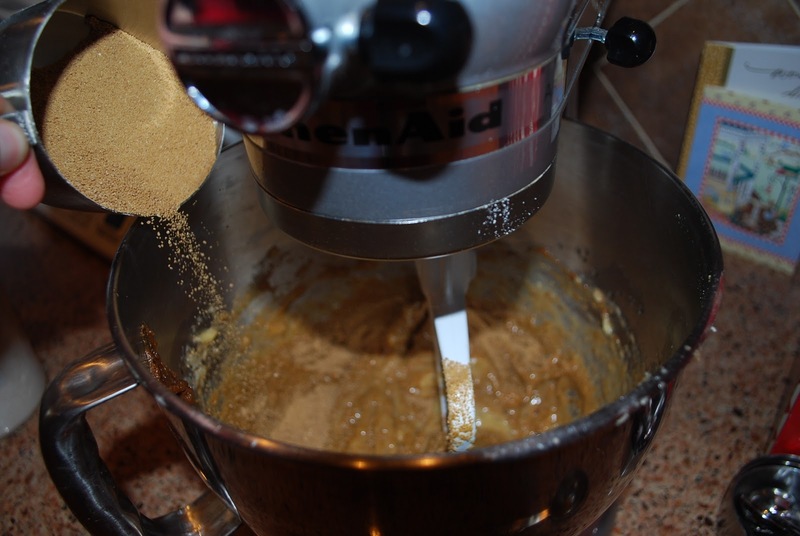 Add coconut sugar and egg; blend. 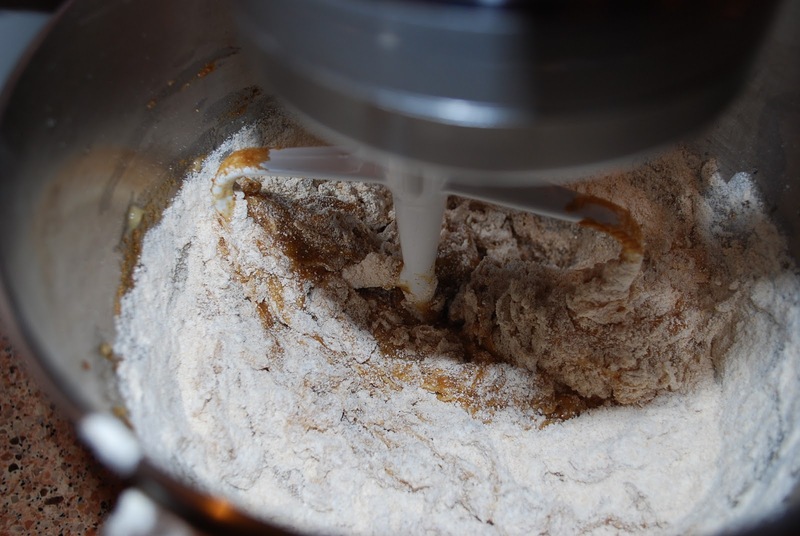 Sift dry ingredients together and add to the mixing bowl. Mix on low until blended. Stir in nuts. Place in 3 small loaf pans sprayed with cooking spray. Bake at 350 degrees for 30-40 minutes. Check at 30 minutes by inserting a toothpick into the center of a loaf. Top warm loaves with 1 tbsp smart balance tub butter and cool on wire racks. You can wrap the loaves in saran wrap and then in foil and place in a freezer ziploc bag and freeze until ready to serve. Thaw overnight in refrigerator. Yum! Yum! 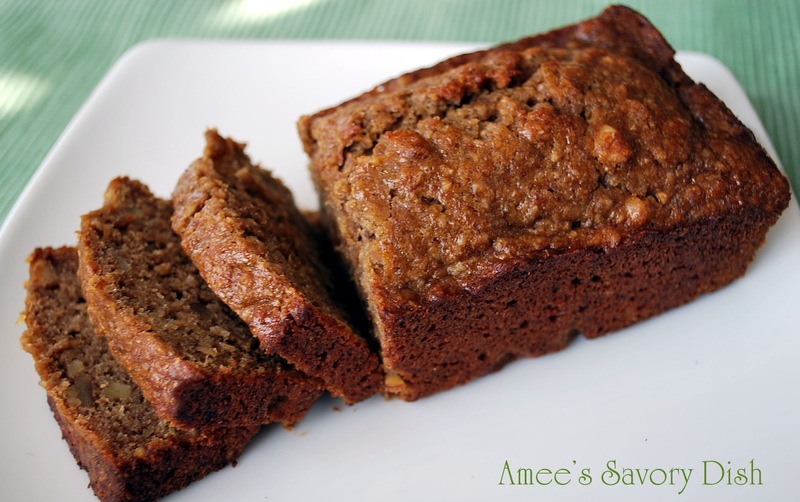 *My kids love this banana bread when I substitute semi sweet chocolate chips for the nuts. I usually double my batch and separate into two bowls. I mix chocolate chips in one batch and nuts in the other. Now everyone is happy! Mash bananas and mix with lighter bake or oil. Add coconut sugar and egg; blend. Place in 3 small loaf pans sprayed with cooking spray. Check at 30 minutes by inserting a toothpick into the center of a loaf. Top warm loaves with 1 tbsp smart balance tub butter and cool on wire racks. This is even healthier than your last banana bread recipe?? I have modified it a bit. 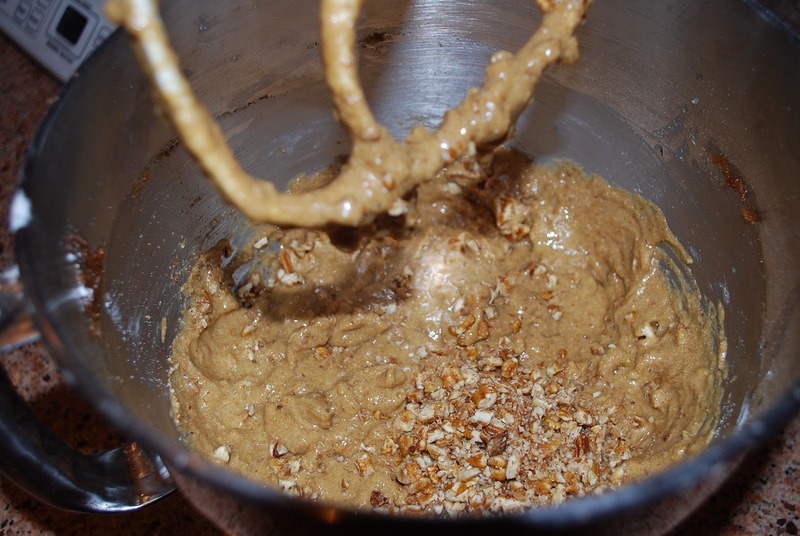 I change up my recipes all the time (adding ground flaxseed, using different whole grain flours, etc.) I love the sunsweet lighter bake. Great taste!! You can take out the nuts and add dark chocolate chips. My kids love that version!